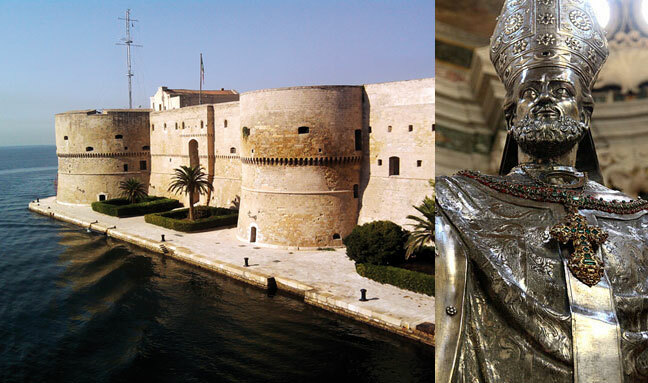 Lying along the Ionian sea, Taranto rises on a privileged sea location. 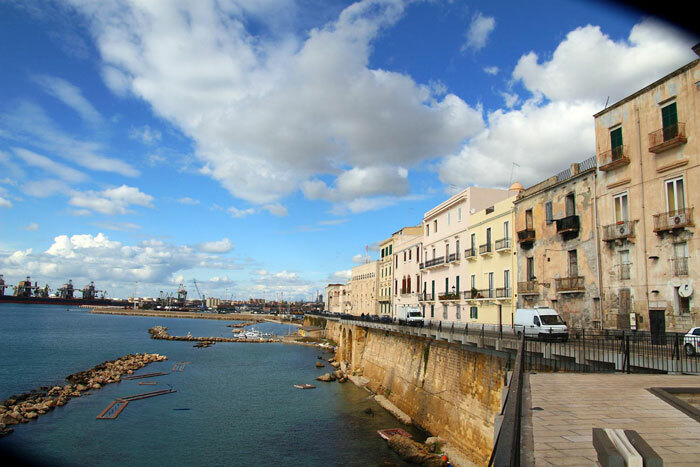 Eye-catching is the impressive scenery of the seacoast: for its unique position within the gulf Taranto is known as the “two seas city” with a big and considerable commercial harbour and an important naval base. 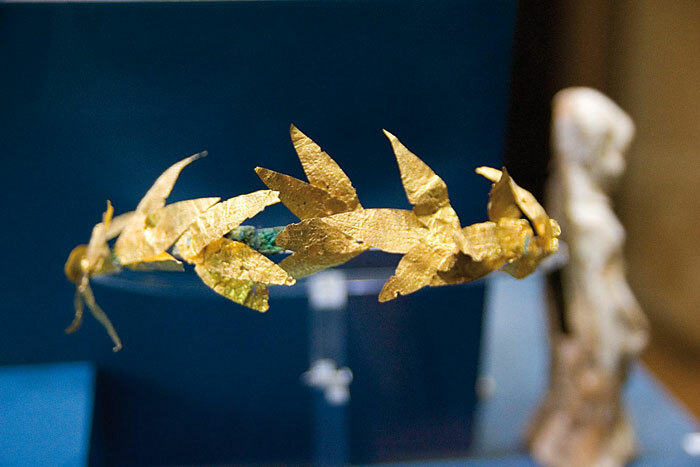 Founded by the Spartan settlers, it soon became, within the context of Magna Graecia, an important and attractive city. Such a role did not change even after the falling of the Roman Empire, when the city was repeatedly invaded and sacked by the Ostrogoth, Arab, Goth and Saracen hordes. Only few traces remain of the ancient city, while the medieval setting is still well preserved. 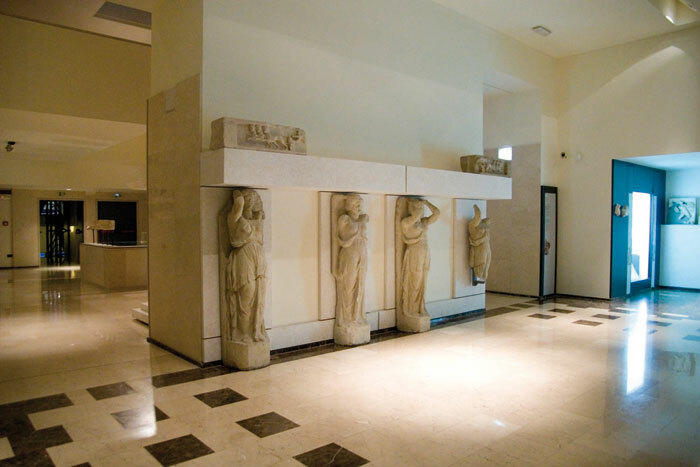 The National Archaeology Museum, founded in 1820, is an interesting pole of irreplaceable value for the knowledge of the artistic culture of Magna Graecia. 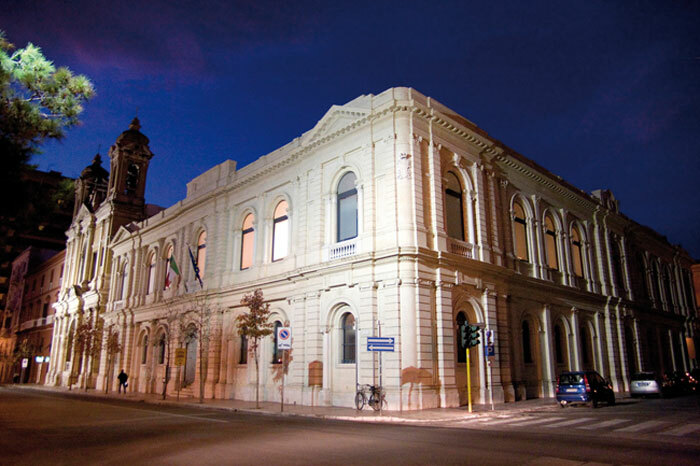 The collection of the museum include precious grave furniture, Greek and Roman statuary, fictile material discovered in the large necropolises spread across Apulia and Southern Italy, vases, bowls, ceramics and golden diadems decorated with precious stones and enamel wares. The swing bridge, opening just a few minutes to allow ships to pass from the “mar Grande” (the open sea) into the “mar Piccolo” (the internal lagoon), links the mainland to a small island where the Aragonese Castle is placed. Across a narrow street which cuts the net of lanes of the medieval town, tourists can reach the Romanesque Duomo, with a Byzantine-style crypt. Worth-visiting is the tour outside the city across the ravines with Byzantine hypogea. 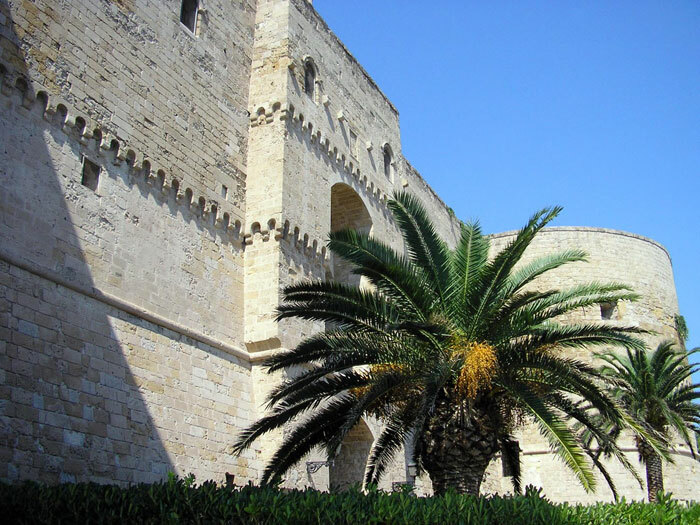 Places to see: the Aragonese castle, the swing bridge, Ipogeo De Beaumont Bonelli Bellacicco (hypogeum), Museo Archeologico Nazionale (national archaeological museum), Museo Etnografico (ethnographic museum).